Like I described in my earlier post where I walked through our itinerary, (blog post here) each night we would stay at a different tented lodge around Tanzania, that way we could see several different parks. 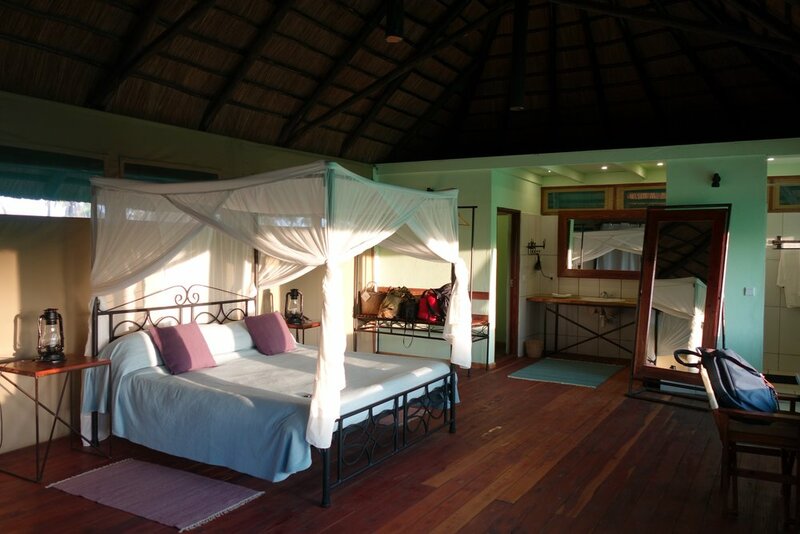 On our second night, we stayed at Maramboi Tented Camp. From the moment we walked in, I was in awe - and at the same time - sad we didn't get to this lodge earlier. The common areas were gorgeous, open and airy. You felt like you were sitting in nature with the animals... but also with a great drink in your hand. A pool, with a view of Lake Manyara, and zebras walking by in the background?! Amazing. And check out that sunset view!? Unfortunately that is not us in the pool. We had arrived at the lodge right as the sun was setting so we missed the sunset swim. Which is why we woke up at 7am the next morning to make sure we got a few laps in. I know what you're thinking... how old are you? 20? But after a long day on a game drive, it felt so great to sit back have some free tasty snacks and endless drinks. We made friends that night with a group of Germans - i'm guessing its those free glasses of wine that made me think I could actually speak German to them! Included in our stay was the option to take a 'walking safari'. This was actually an option during our entire trip, but the idea of possibly walking next to some lions didn't appeal to me. But walking where there were zebras and pretty birds? Thats more my speed. We woke up early to catch the sunrise. Our guide walked us down to Lake Manyara where we were able to see plenty of flamingos & pelicans (made me think of you Grams!). After the walking safari we quickly changed into our bathing suits for the swim and worked up an appetite for some breakfast! Although we were there for less than 24 hours, we tried to take advantage of all the included amenities. 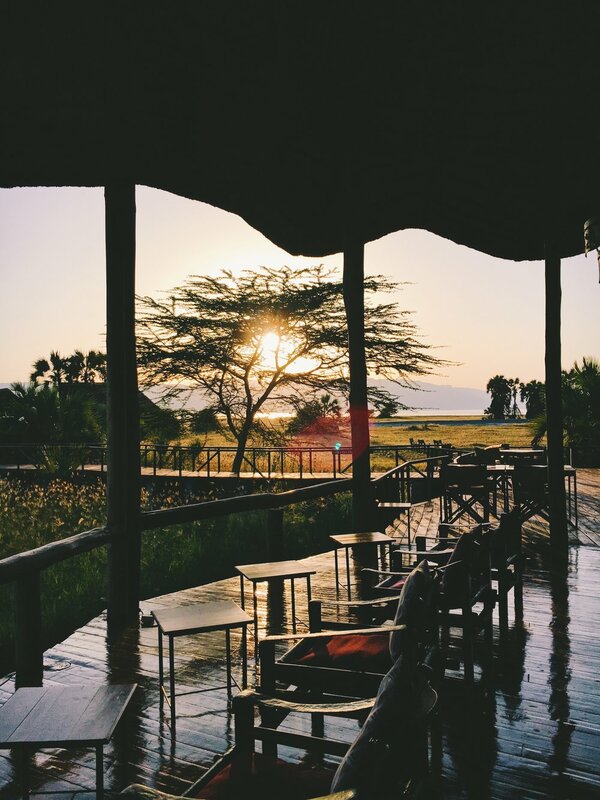 For anyone staying at Maramboi Tented Camp, I recommend getting there earlier than dinner time so you can take advantage of that sunset swim!